Once NATO’s war came to an end, the KLA set about driving out of Kosovo every non-Albanian and every pro-Yugoslav Albanian it could lay its hands on. The KLA left in its wake thousands of looted and burning homes, and the dead and dying. Two months after the end of the war, I visited Hotel Belgrade, located on Mt. Avala, a short distance outside of Belgrade. 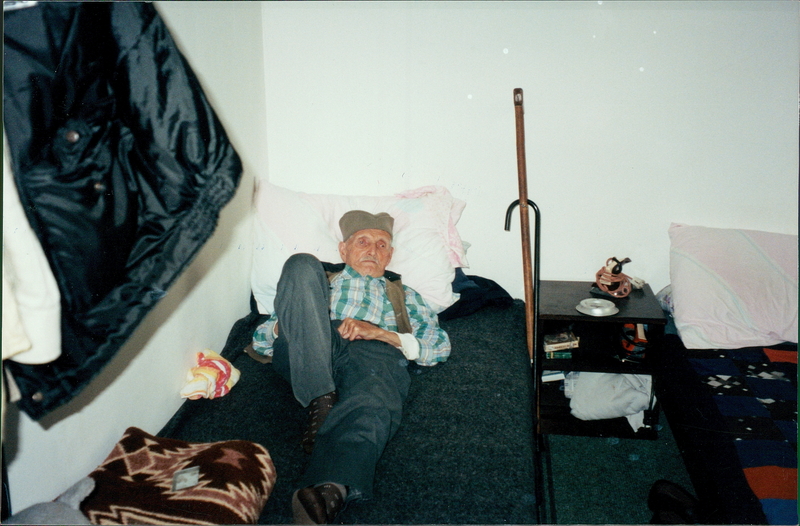 Those who had been driven from their homes in Kosovo were housed in hotels throughout Yugoslavia, and in this one lived Serbian refugees. The moment I entered the hotel, the sense of misery overwhelmed me. Children were crying, and the rooms were packed with people. The two delegation members who accompanied me and I were shown all three floors, and the anger among the refugees was so palpable I felt I could reach out in the air and touch it. 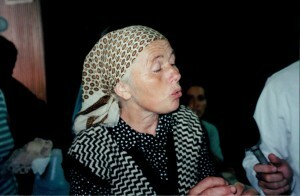 Nearly everyone here had a loved one who had been killed by the Kosovo Liberation Army. All had lost their homes and everything they owned. Initially, many of them refused to talk with us, and one refugee demanded of me in a mocking tone, “Can you get my home back?” It was not until a while later that we discovered that due to a misunderstanding, some of the refugees thought the NATO commander of the attack on Yugoslavia, Wesley Clark, had sent us there. We were quick to correct that misapprehension, and then people were more inclined to talk with us. There was still, however, some residual reluctance based on three prior experiences these refugees had with Western visitors, all of whom had treated them with arrogance and contempt. A reporter from the Washington Post was said to have been particularly abusive and insulting. Several refugees were too upset to talk. The eyes of one woman and her son still haunt me. I could see everything in their eyes – all that they had suffered. We climbed the stairs to the third floor and began our interviews there. A family of seven people were crowded into the first room we stopped at. We were told that five of them slept at night on the two beds, and the other two on the floor. Goran Djordjevich told us his family left Kosovo on June 13. “We had to leave because of the bandits. They threatened to kill us, so we had to leave. 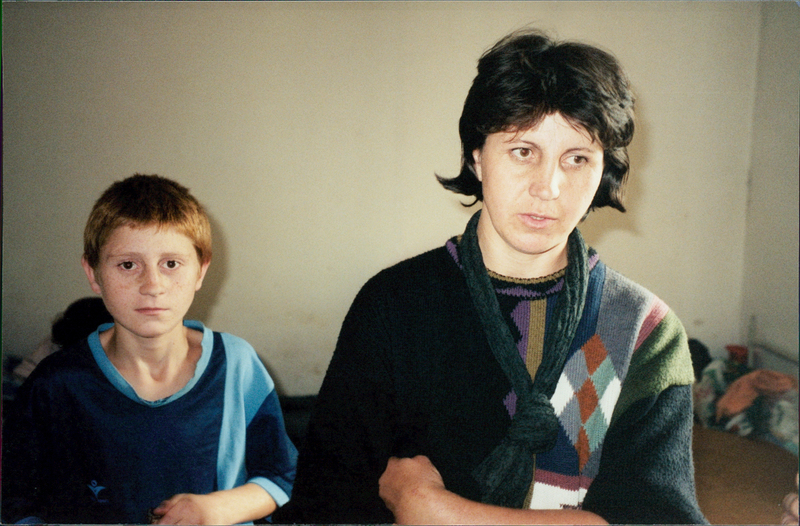 The moment NATO came we knew that we would have to leave.” After having talked with Roma and pro-Yugoslav Albanian refugees on earlier occasions, his family’s story was a familiar one to us by now, in that threats from KLA soldiers had prompted a hasty departure. Emotions in the room were running quite high and it took considerable prodding and encouragement to get anyone else to talk. My entreaties were met with silent rejection and it was at this point that our translator discovered that everyone thought that NATO general Wesley Clark had sent us. Once our translator cleared up that matter, the people were still disinclined to speak. But nothing happened. Months passed and one day Lazich’s mother visited William Walker, who had been installed at U.S. insistence as head of the OSCE Kosovo Verification Mission. The ostensible purpose of the OSCE mission was to reduce the level of conflict between the Yugoslav security forces and the KLA, but the signed agreement applied only to Yugoslavia. The KLA was not part of the agreement, and was free to run wild. Walker packed the mission with CIA agents, who were busy marking targets for the impending NATO attack and providing military training to the KLA. Shortly before departing Kosovo, they handed communications and satellite global positioning equipment to the KLA. Lazich introduced her mother-in-law, Dobrila Lazich, who told us what the KLA had done to her brother’s 13-year-old son in September 1998. The boy “came to see his relatives. First, he came to see one aunt and uncle and then he went to visit the other aunt and uncle, and between the two houses he was kidnapped and killed.” The boy’s mother was reluctant to talk to us, but her relatives pushed her forward and she spoke in a barely audible voice. Her name was Stana Antich and she told us how she sought help from William Walker, but he would not do anything. First KFOR collected all out weapons, so we were easy prey. Before my eyes, the KLA killed my uncle. Actually, they slaughtered him with an axe and left his body. They didn’t bury him. They cut him into pieces. KFOR simply doesn’t prevent the KLA from doing anything. They can do anything. They just simply sit and watch and do nothing. We were not allowed to protect ourselves. We were driven out of our own homes. We were unarmed. We were at the mercy of the KLA terrorists. They had support from KFOR. They gave them arms. They took the arms from us. We left our homes with our naked souls and nothing else. I asked if anyone else would like to be interviewed and all declined. There was a young girl in the room, aged around 12 or 13. A couple of people told me that the KLA had murdered her father. Several people encouraged her to talk but she vigorously shook her head no. They asked the girl again, and she broke into tears. With a loud, heart-rending sob, she spun around and fled down the hallway, leaving behind her a trail of echoing cries. Shaken, I stood there in silent contemplation when someone jarred me back to awareness by asking if I wanted the girl brought back. I could not inflict that on her and said no. 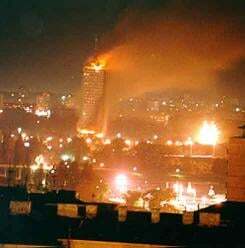 This incident took place during the NATO war. Not long after the murders occurred, a criminal investigator visited the site and KLA soldiers killed him, too. The Holy Trinity Monastery, where Antich’s friends and family were headed the day they were killed, also met a sad fate. When KFOR entered Kosovo in mid-June 1999, KLA soldiers looted and burned the monastery, and the next month they returned and demolished it with explosives. The Holy Trinity Monastery was one of 84 churches and monasteries the KLA destroyed during its rampage in the first few months under the protective wing of NATO. Many of the buildings dated back to the Middle Ages, and some were designated by UNESCO as world historic sites. KFOR would eventually place under guard some of the more historic sites that had managed to survive, but the demolition of religious sites nevertheless continued on a sporadic basis. In March 2004, Albanian extremists launched a new pogrom, killing, beating and driving away Serbs and setting their homes ablaze. During those attacks, another 35 churches and monasteries were destroyed or damaged. I mentioned to him that U.S. officials were saying that members of the KLA could join the new police force being established in Kosovo. Jovanovich was startled. “This is impossible, because they hate the Serbs and they are against the Serbs. This is not possible.” But that is precisely what happened, as KLA soldiers filled the ranks of the newly formed police force in NATO-occupied Kosovo. Gregory Elich is on the Board of Directors of the Jasenovac Research Institute and the Advisory Board of the Korea Policy Institute. He is a columnist for Voice of the People, and one of the co-authors of Killing Democracy: CIA and Pentagon Operations in the Post-Soviet Period, published in the Russian language. Venezuela: A Cocaine Super-Highway to the US? Why Isn’t Oil-Rich Russia Helping Its Syrian “Ally” Survive the Fuel Crisis?